Salon Management Software will make easy to manage daily process, it will help you to manage customer detail, product inventory detail, employee commission detail, daily routing process like inward, out ward, daily income, daily expense etc. If Require Salon Software Demo Please Download From Link. Create Service with price as per salon require, also Keep a completely custom list of service descriptions and prices with Image. 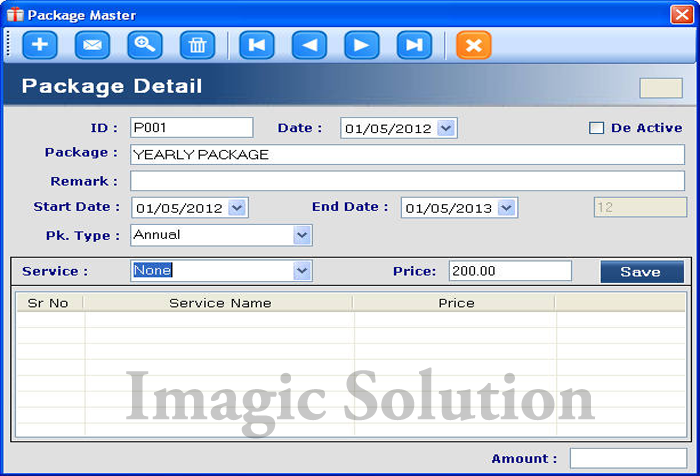 Salon & Spa software also remembers what you charged each client for a particular service. 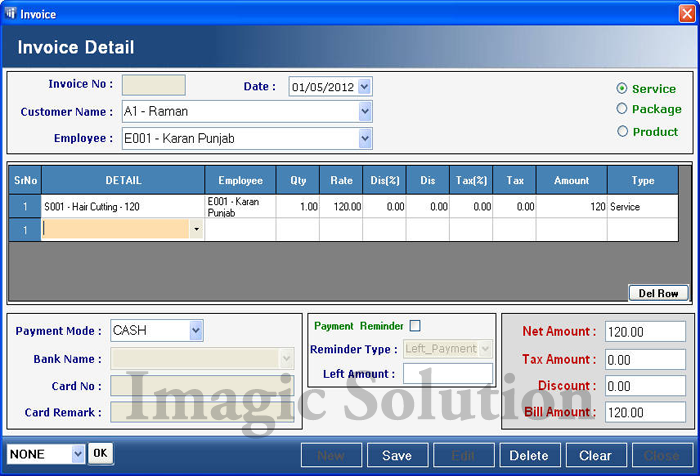 Salon Software will help you to create package with Image as per salon require, annually, quarterly, monthly etc. also allocate or sale package & service as per customer require, after that software manage history of customer taken service. Salon Software manage Employee detail, employee salary detail, employee target, employee commission detail, one click commission report, one click salary report etc. 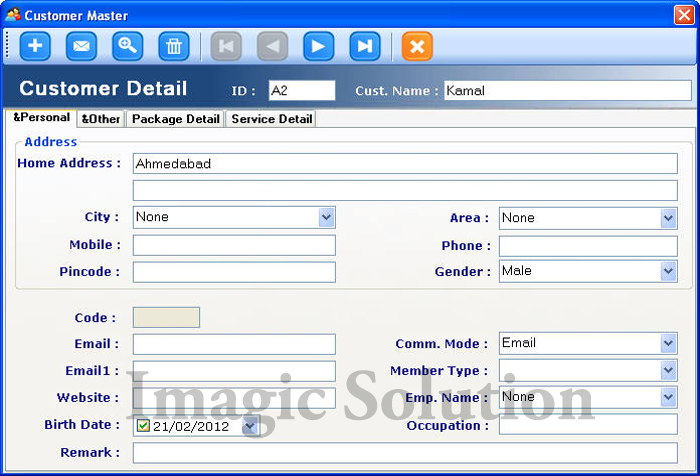 Salon Software can manage Employee commission on Service / Product Sale / package Sale etc. 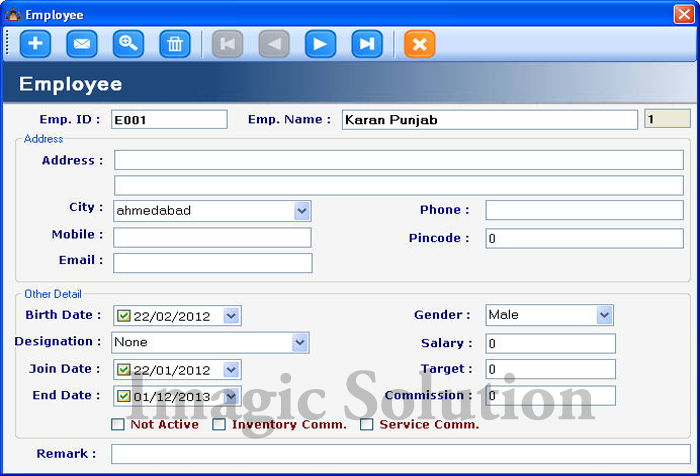 (Generate one click commission report) we can define Slab as per require for commission. Salon Software can manage Employee Attendance day to day wise and time wise. Also can manage leave detail, Present, absent etc. Salon Software manage inventory detail like inward, out ward, salable product, vendor detail, employee commission on salable product, product stock etc. Software can reminder automatically customer birth day, customer anniversary sends SMS/ Email to client, also any defined task, so you can mark reminder complete status. Record all information about your clients, including hair style history, products purchased, services, package, total spent, and much more. Software provide various type of analysis report like Daily sale register, Daily expense register, Inventory report, Employee report, Service report, Package report etc. Software provides facility for online booking, it access on web. Customer can book their schedule online for his require service. Create any Service Group like Hair, Skin and Body & Spa etc. Master for Customer, Product, Service, Package, etc.